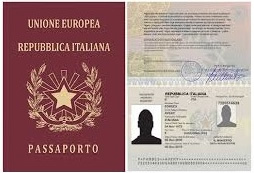 An International drivers license, Passport or a United States drivers license. You can take a PICTURE of ALL YOUR DOCUMENTS with your phone or scan them and email it to us. We no longer accept fax. Please make sure that your documents are clear and readable. Proof of Insurance Documents such as a declaration page or copy of your insurance card is required. We also accept insurances that come with your credit card. Some credit cards such as the American Express Centurion card provide auto insurance to cardholders. If you will be using the insurance of your credit card then we do require that you email us a copy of this document. If you have an American Express Black card then we do not require you to send these documents. These are the Automotive Liability Insurance coverage limits required. You must also have transferable comprehensive and collision coverage. Do i need to send a copy of my credit card? Yes, We require a copy of the FRONT and BACK of your credit card. We need this in order to prevent identity theft and make sure that you are the actual cardholder. This also provides an added layer of security to ensure we’re not renting a $300,000 car to the wrong person. Can I use my family member or friends credit card for the security deposit? Yes, you can but the rental would need to go under the name of the cardholder. We can add you as an additional driver but the license, credit card, and insurance documents all need to be from the same person. Can I pay everything in cash? I don't want my spouse to know i'm spending this much on a car rental. Sure we accept cash but we do need to charge a security deposit on a credit card. This provides an extra measure of security in case the car is damaged. We want to make sure that all the cars we rent are kept in pristine condition. Can you deliver the car to my hotel in South Beach? i'm paying cash! Unfortunely we cannot for two reasons. Why do you need a security deposit? I'm already providing my insurance documents. Not all accidents require us to contact the insurance company so the security deposit allows us to fix the damages without having to get the insurance companies involved. For minor damages such as interior seat damage or rim damage, we can just take the money from the security deposit instead of having to go through your insurance. This ensures that all of the cars are kept in pristine condition for the next person that rents the car. Can I use a separate credit card for the security deposit? Yes, If necessary you can use multiple credit cards for the security deposit as long as all of the cards are under the same name. We want to give everyone a chance of driving their dream car and will try to work with you to the best of our abilities. Can I use a debit card for the security deposit? Yes, you can use a debit card as long as the card has sufficient funds to cover the security deposit. Fusce ac turpis quis ligula lacinia aliquet. Mauris ipsum. Nulla metus metus, ullamcorper vel, tincidunt sed, euismod in, nibh. Quisque volutpat condimentum velit. Class aptent taciti sociosqu ad litora torquent per conubia nostra, per inceptos himenaeos. Nam nec ante. Sed lacinia, urna non tincidunt mattis, tortor neque adipiscing diam, a cursus ipsum ante quis turpis. Nulla facilisi. Ut fringilla. Suspendisse potenti. Nunc feugiat mi a tellus consequat imperdiet. Vestibulum sapien. Proin quam. Etiam ultrices. Can I cancel on the day of the rental? No, because our cars are in such high demand we require 7 days in advance if you wish to cancel. If you wish to cancel before the 7 days you will be charged the full amount of the rental. If you book the cars within 7 days in advance then you will be charged up to 100% of the rental cost. Can I cancel if it's raining? No, unless there is a hurricane or tornado your reservation with us is rain or shine. We advise you to keep up with weather conditions to ensure that it will be a sunny day in Miami. I had a death in the family can I cancel? Unfortunately, we’ve heard that excuse many times before and cannot cancel your reservation. You will be able to cancel but will be charged 25% of the total rental cost. I'm only 21 can rent an exotic car? Sure, as long as you provide the proper documents we can rent any car to you. Can I reserve the car and let my 18 year old drive? No, We do not allow anyone that is not on the rental policy to drive. Anyone under the age of 21 is prohibited from driving any of our cars. If your kid is 21 and over we can add them to the rental policy and they can also drive the car. I'm almost 21 can I rent a car? Can you deliver to MIA Airport? Yes, we offer FREE delivery to MIA Airport for most of the cars even for one-day rentals. Can you deliver the car if i'm paying cash? No, if your paying cash you will need to pick up the car at one of our nearest car rental centers. I crashed the car what do I do? If you are involved in a car accident you should call your concierge specialist immediately. If for any reason you cannot get in touch or it is an emergency please call 911. The valet guy scratched the wheels will I be charged? Yes, because the car is in your possession you are liable for anything that happens to it. Most curb rash can be taken out of your security deposit so you won’t have to get your insurance company involved. There's a tiny scratch on the front bumper will I have to pay for it? Any scratches less than 2 inches are usually not a problem and won’t be deducted from your security deposit. Can my parents rent the car for me? No, the only person authorized to drive the car must be over 21 and have proper insurance coverage. We do offer chauffeur services in most of the luxury cars. Can grandma pay for the car? Yes, she can but she will also need to be there when you pick up the car. Unfortunately, the person paying will need to be present at the time the car is dropped off. What is the earliest I need to reserve the car? There is no time frame for booking a car but reserving the car a couple months in advance will help guarantee your dream car is available for the exact date. Can you deliver the car to my wedding? Yes. We deliver to anywhere in South Florida including Brickell, Coral Gables, Downtown, Miami Beach, South Beach, Wynwood, Midtown or anywhere you need the car. Yes we do provide chauffers with most of our luxury cars. If you have a special request such as a chauffer for a Ferrari please call us and we will do our best to accomidate your needs.